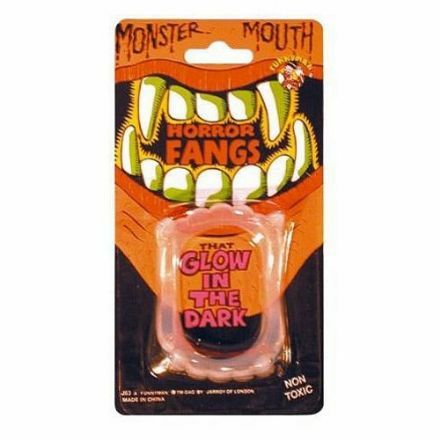 An ideal accessory for a Halloween Costume are these Glow Monster Teeth. Suitable for Parties and Amateur Dramatics. 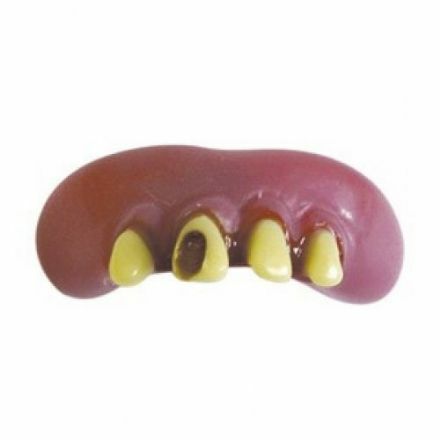 Look great with this Billy-Bob Snaggle Tooth. Helps add the finishing touches to your outfit.